My roommate had two tickets to attend a show at the BAM harvey theatre. 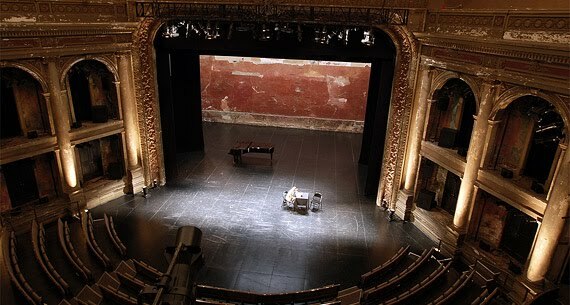 BAM, is located in downtown Brooklyn, its the oldest operating performing arts center. The program we saw was called "The Tempest", it's a play by William Shakespeare. Yes, I must admit I was confused in the beginning of the play just because I never read nor heard about this particular play. As the play progressed it definitely got easier to understand what was going on. After the play we had dinner with our significant others at WildWood BBQ. It was my first time there and it was not bad I mean nothing compares to down south BBQ but for New York it will do. Yummy appe. the chipotle bbq wings was the best. My favorite place in Brooklyn has to be Brooklyn Promenade it has a breath-taking view of the city, the statue of libery and of course the brooklyn bridge.